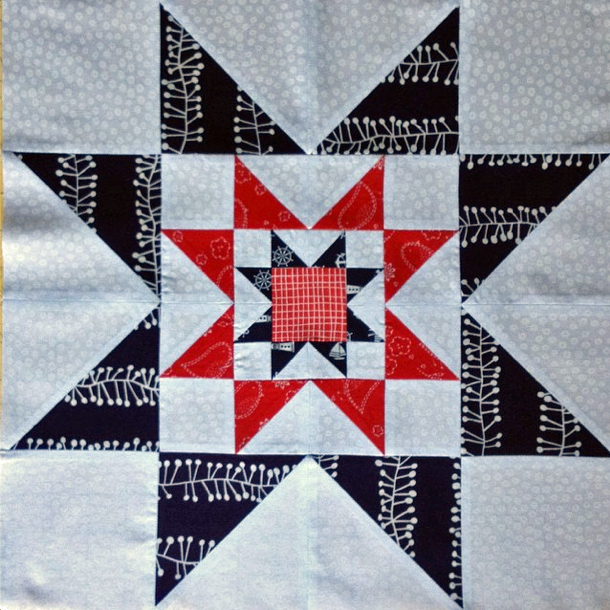 For October, Gemma asked us to make the Triple Star in fabric which she kindly sent us. As before, the pattern can be found in the book "Modern Bee - 13 quilts to make with friends", by Lindsay Conner. 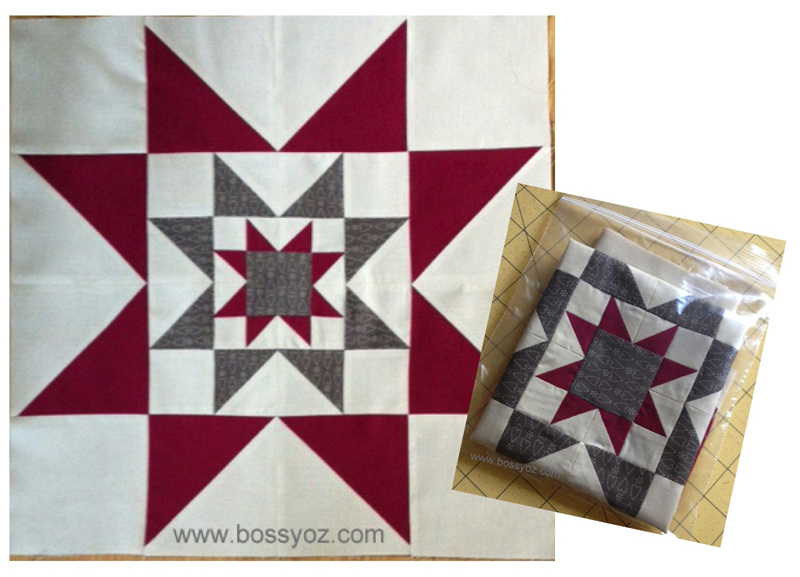 The centre star has points which are only 1"x1" finished!!! Rather fiddly, but once past this stage the block is actually very fast to sew together. If you like to follow Gemma's quilting adventures please visit her on Instagram. All right then, judging by these, I'm just going to have to get a hold of Lindsey's book after all! I resisted the bee, but those blocks look really good! If you look on Instagram you can find even more photos of the various blocks. Main hashtag is moderninstabee2014. There are also specific ones for the UK and Australia, but the main one should give you a good idea. Love the grey - but as you know, it's my favourite colour!